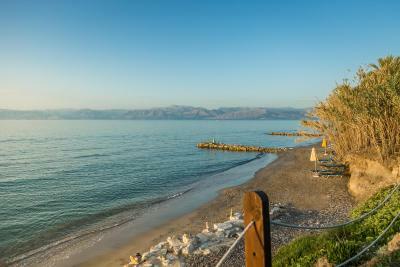 The Ibiscus Corfu Hotel is located by the sea in a beautiful area measuring 30000 square yards.m. 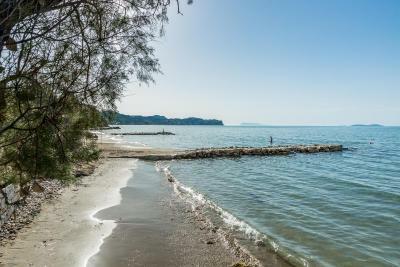 Less than a mile away from the village of Roda in the Northern part of the island. 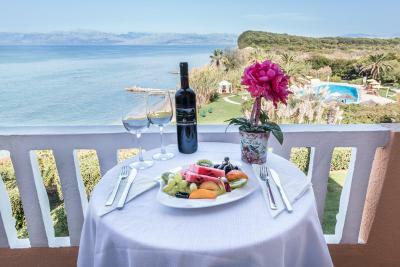 The hotel is composed of the main building and six compartments, having a total of 100 rooms , all with a bath, telephone and a balcony or veranda. 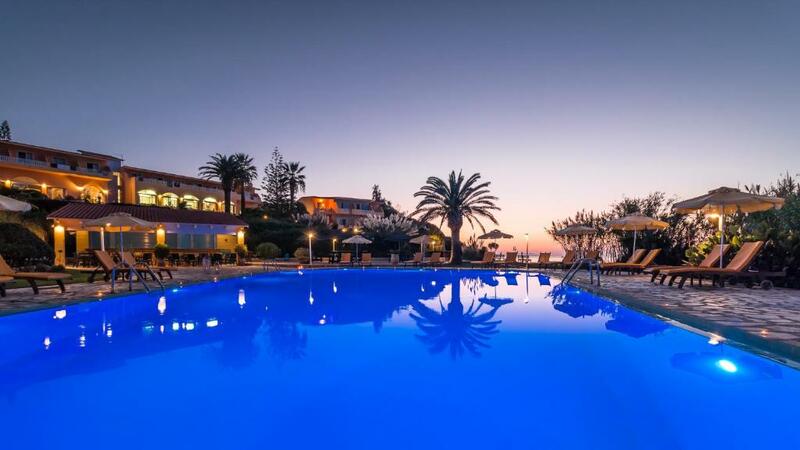 The main building includes a reception, a restaurant, a bar with veranda, a big lounge with a TV, a game room and a tourist shop. 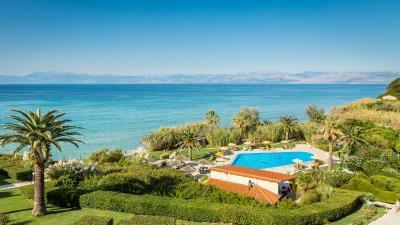 The hotel has it's own beach, and outdoor swimming pool, with a bar, a snack bar and children's playground. 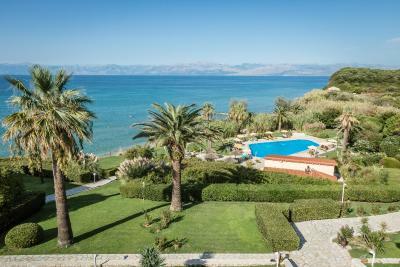 Peace, natural beauty, beautiful view combined with the traditional Greek hospitality and superb service, make Ibiscus Corfu Hotel the imaginary holiday resort. 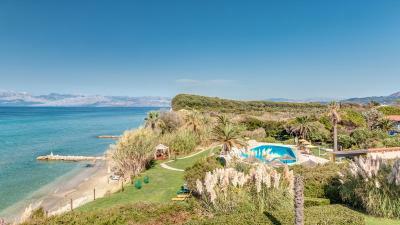 When would you like to stay at Ibiscus Corfu Hotel? 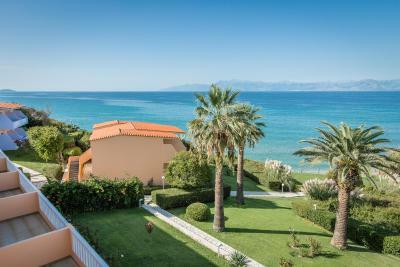 House Rules Ibiscus Corfu Hotel takes special requests – add in the next step! 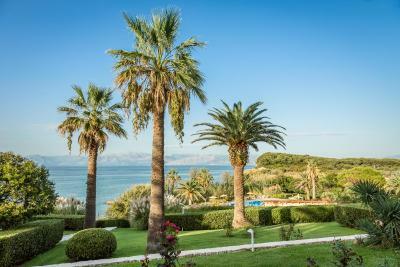 Ibiscus Corfu Hotel accepts these cards and reserves the right to temporarily hold an amount prior to arrival. We need at least 5 reviews before we can calculate a review score. 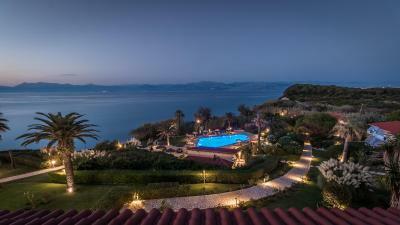 If you book and review your stay, you can help Ibiscus Corfu Hotel meet this goal.